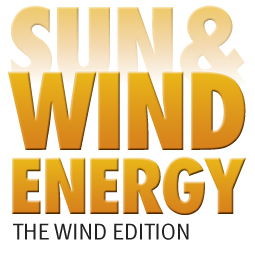 Following the success of previous comparison exercises in the field of resource assessment, EWEA is hosting a comparison exercise aiming at benchmarking mesoscale modelling for the estimation of site wind conditions. The initial results of this exercise were presented at EWEA’s technology workshop Resource Assessment 2015. NEW: the exercise is now open again for additional submissions until 9 October 2015, and an updated presentation of results will be given at EWEA 2015 in Paris on 18 November 2015. This benchmarking exercise is co-organized with the European Energy Research Alliance Joint Programme Wind Energy (EERA JP WIND), being a milestone in the medium- long-term strategic plan and in the roadmap for the Sub-Programme ‘Wind Conditions’. The scope of this exercise is to evaluate the capabilities of mesoscale models used in wind energy to estimate site wind conditions, with a tailored benchmarking study. Participants will be asked to provide hourly time series at a number of sites for the whole of 2011. To identify gaps and strengths of models and understand the root conditions for further evaluating uncertainties. What is the range of values of simulated time series at the same site? How are these differences related to choices in model setup? Results should be provided using an excel spreadsheet template downloadable from the EWEA server upon registration. The completed output should be emailed to [email protected]. Upon receipt of their submission, each participant will be sent a reference code that will be used to refer to their submission in case of queries and in the presentation of the results of the comparison exercise at EWEA 2015. EWEA will insure that the identity of each participant is kept anonymous. To access the data pack, please fill out the form at the bottom of this page. Participants choose the methodology they use for the output. Participants must submit results using the same Excel spread sheet template in order to create a standardised description of their methodology. This template includes a questionnaire about methodology which is crucial to categorising and interpreting differences in the modelling approaches and results. This template is available for download on the data pack page. The blind evaluation will be performed at DTU Wind Energy. The analysis will include comparison of sector-wise frequency and Weibull A and k, comparison of the modelled temporal spectra. For sites with measurements these statistics will be compared with those derived from observations. The Taylor diagram (Taylor, 2001) will be used for summarising the skill of the models, in addition to standard mean and variances. Participants are welcome to suggest other comparison metrics. Lorenzo Morselli at [email protected]. After filling out this form, you will be redirected to the data pack page. This can take a few seconds, so please be patient. You will also receive an automated confirmation email summarizing your submission.